If guest cancels 30 days before their arrival,refunds could take up to 30 days before returned to guest. Please note that guests will have to pay an additional fee per day in order to use the hot tub. The services of a chef can be requested for an extra charge. This service will be provided to up to 6 guests, and only covers the preparation of breakfast, lunch and dinner; food and supplies are not included. Valencia is surrounded by a breath taking garden that would be a plant lover’s paradise. The garden is well groomed and as various plants and fruit trees such as: Ackee, Banana, June Plum and Coconuts. Why not have some refreshing coconut juices while you relax in the garden? Now that’s paradise. What’s cooking? If you love island cuisine well we have a fully equipped kitchen to cater our guests needs. Did we mention the villa offers Chef services. Our Chef can prepare some mouth watering cuisine that would make you clamor for more. Imagine some delicious Ackee & Salt fish served with plantains, green bananas, fried dumplings and a hot cup of Blue Mountain Coffee to get you going in the mornings. Guest can arrange meal plans before arrival. 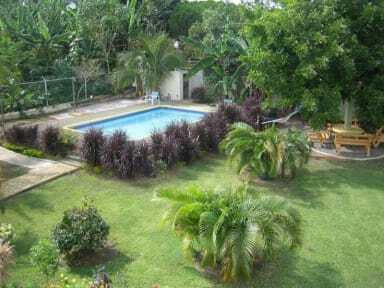 Valencia as 3 lovely and spacious fully furnished bedrooms with 100% Mahogany wood furniture’s. Bedrooms come with wireless internet, cable TV, air conditioning, ceiling fan. 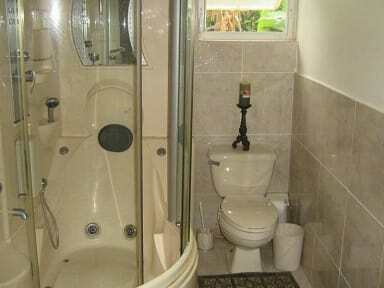 The Master bedroom comes with a Jacuzzi Spa, while the other 2 bedrooms comes with standard bath and standing shower. Breakfast not included. Coffee or tea is provided in the morning, if guest request full course meals we do have a chef service, for a cost. Please note that guests will have to pay an additional fee per day in order to use the outdoor hot tub cost is $150 USD.